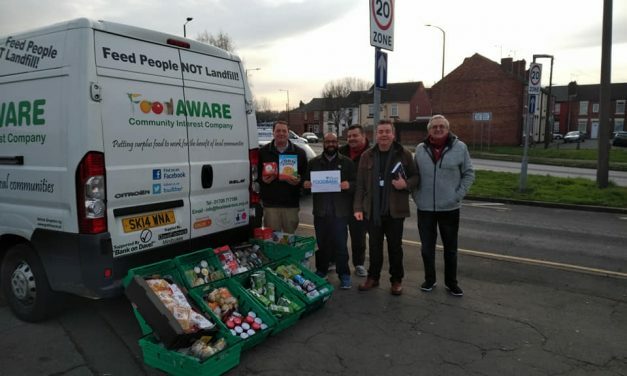 We redistribute surplus food by diverting from potential waste and into needy communities. A key objective of our project is to redistribute healthy 5-a- day produce e.g. tomatoes, peppers, cucumbers, fruit etc as this encourages healthier eating. 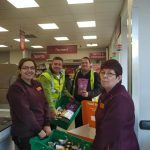 We distribute Food Standards Agency (FSA) leaflets which educate beneficiaries and equip them to make good food choices e.g. Eat Well Plate, ‘Best Before’ vs ‘Use By’, Traffic Lights on foods, Salt in food etc. We currently collect and redistribute over four tonnes of quality-control failing ’5-a-day’ produce every week in partnership with our local suppliers and farmers. 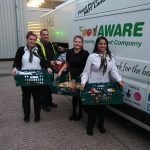 Food AWARE are proud to support the ‘Love Food Hate Waste’ campaign!! 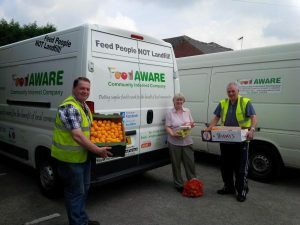 Check out recent photos (see below) of our support for the ‘Feed 1,000′ event at the LFHW Roadshow at Hull University! 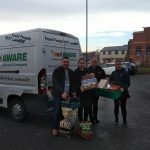 Food AWARE on Facebook – check out our very own group page! 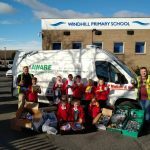 Lots of exciting news and photographs about our project (including examples of some of the surplus 5-a-day we receive every week!!!). And on Twitter!